Zowie Gear ZA12 Ambidextrous Gaming Mouse Review | Nerd Much? Update 11/19/16: Originally, we were planning to review both the ZA12 and the FK1 by Zowie Gear. However, after spending time with both, it’s clear that a full review for both isn’t warranted, as the only significant difference between the two is the actual shape of the physical mice, itself. 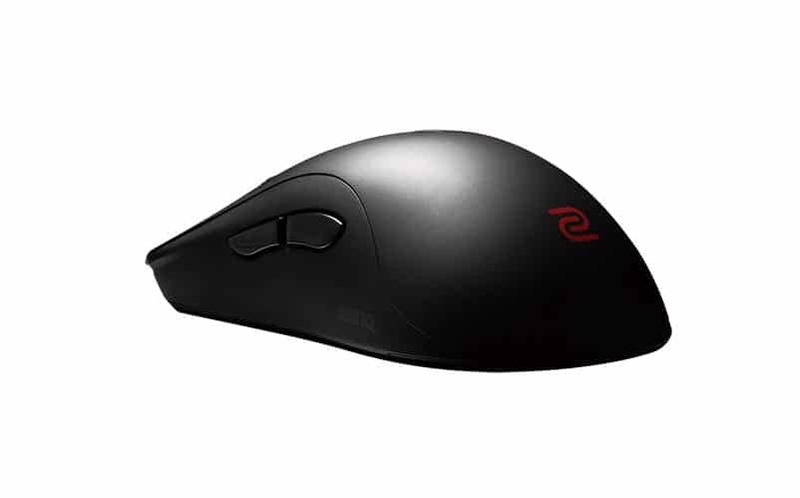 The ZA11 has a much higher palm rest than the FK1, which has a much lower profile. Smaller hands might prefer the FK1, where bigger hands (or those who use the claw grip) will prefer the ZA12. As far as build quality is concerned, they’re both identical. It can be tough to stand out in the super crowded PC peripheral market. With every major (and minor) company releasing new gaming products every year, I’d imagine it’d be quite easy for a company’s product to get lost in the shuffle, especially when it comes to gaming mice — a high competition category in which there are so many different products that shopping can be overwhelming. But occasionally, a manufacturer has that extra bit of oomph that is just enough to set it apart from its rivals. This is the case with the Zowie Gear ZA12 Ambidextrous Gaming Mouse, which feels just as comfortable on the left as it does on the right. What makes it so comfortable? It has a high profile design that makes the palm rest look fatter, giving your palm more support (regardless of which side of your keyboard you’re using it on). The ZA12 is not a gaming mouse that comes with a lot of bells and whistles — there aren’t any LEDs, for example, but the basics are there: extra side buttons? check. The ability to change DPI? check. In fact, users can choose up to 4 DPI options: 400, 800, 1600, and 3200. On top of those DPI options, there’s also three adjustable USB report rate options: 125, 500, and 1000 Hz. Personally, I use 1600 DPI with a 1000 Hz rate, because I like my mouse to be super quick and reactive when playing Overwatch (I know, I’m an oddity — most prefer low DPI for FPS games). As far as its clicking is concerned, it has a satisfying feel and is responsive. The mouse’s weight isn’t too light, either, so it doesn’t feel like you’re playing with air. Instead, it has a good weight to it, and it feels well balanced and distributed. Our only disappointment with the ZA12 is that the button used to change DPI is on the bottom of the mouse. Maybe I’ve been spoiled with being able to adjust our DPI on the fly with the Logitech G900 (which has its dpi buttons on the top, just under the scroll wheel). Of course, the G900 is more than twice the price of the ZA12, so comparing them might be a bit unfair, I suppose. When it comes down to it, though, the Zowie Gear ZA12 is one of the best gaming mice under $100, especially if you are a claw-grip lover (which, I am). With the ability to change DPI and mouse polling rate easily paired with the fact that it’s ambidextrous, makes it a great choice for eSports players who like to change their settings based on what game they’re playing or what character they’re playing as. It’s also noteworthy that it’s driverless, meaning you don’t have to worry about finding any drivers for your PC when you plug it in — it just works. For more on Zowie, you can check out their official site. Stay tuned to Nerdmuch.com for more cool stuff to buy. You can also follow us on Twitter for the latest.